Working in rhythm with its inherent beach house charm throughout a masterful recreation, this superbly crafted residence provides a luxurious family haven with spectacular entertaining venues. 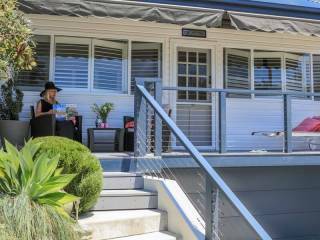 Set to an inspiring panorama with views from the beach and ocean to Manly and the city skyline, it is focused around expansive open plan living spaces, flowing to a customised seaside entertainers' deck. 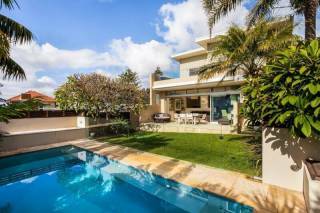 Set amid exquisitely landscaped gardens with swimming pool, its exclusive headland setting is a five minute stroll to North Curl Curl Beach. An entertainers delight commanding breathtaking ocean, city and Manly views and includes vast open plan lounge and dining areas flowing to the huge covered outdoor entertaining deck.